VIA HD Audio is a MEDIA device. 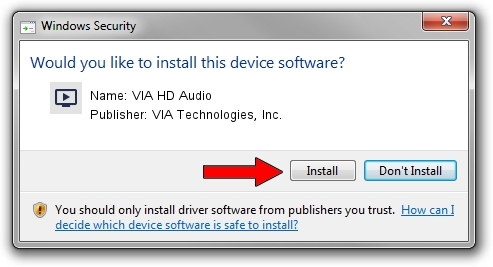 The developer of this driver was VIA Technologies, Inc.. 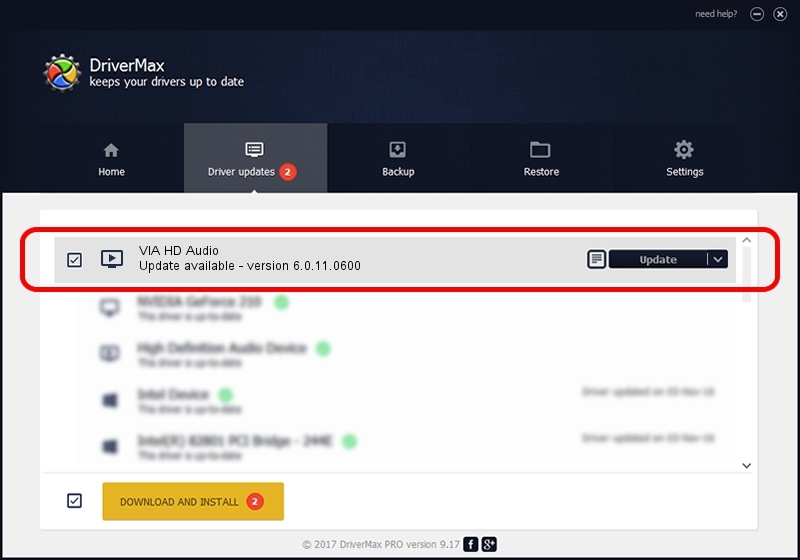 The hardware id of this driver is HDAUDIO/FUNC_01&VEN_1106&DEV_4397&SUBSYS_10193184. This driver received an average rating of 3.7 stars out of 9450 votes.